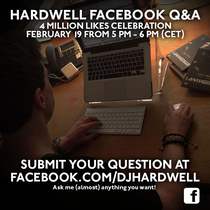 The man behind Revealed Recordings, Hardwell, who was recently voted as the world’s #1 DJ by DJ Magazine, has breached yet another landmark by amassing four million Facebook “likes.” To reciprocate the support shown to him by his fans, Hardwell is inviting them to join him for an exclusive, hour-long Q&A session with him via Facebook today at 17.00 CET. 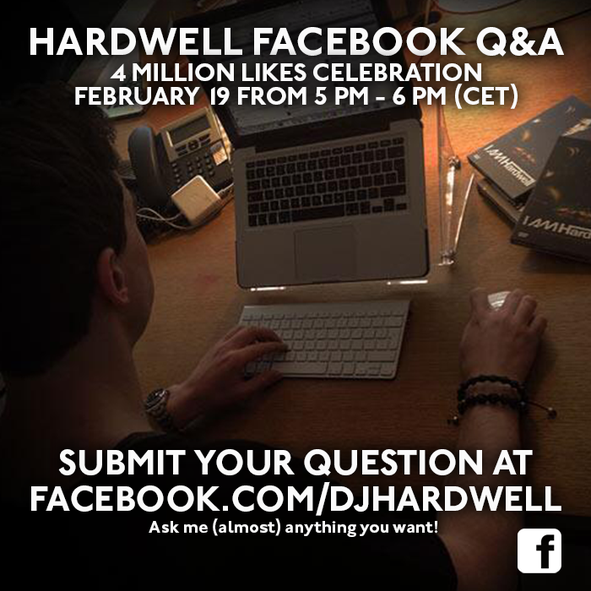 Always keen to interact with his supporters, Hardwell is aware that his success is a joint venture with his audience and that their support is as much a part of Hardwell as his music that Robbert van de Corput creates. This joint venture has helped forge a bond between artist and audience, which has lead to Hardwell declaring “I have the best fans in the world.” If you have caught one of his shows over the past 12 months, you quite possibly might agree.